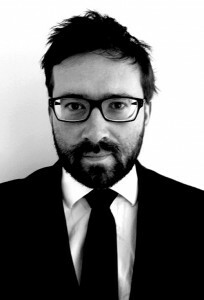 Andrew MacDowall is a correspondent and analyst focusing on Central and Eastern Europe. He writes about politics, business and economics for publications including the Financial Times, the Guardian, Politico Europe, Christian Science Monitor, and Business New Europe. He writes about politics, economy, and business, covering stories such as the arrest of Ratko Mladić and its aftermath, the anniversary of the assassination of Franz Ferdinand in Sarajevo, Romania’s macroeconomic performance, and investment in the Polish energy sector. With an extensive contact book, he has interviewed hundreds of figures, including Prime Ministers, tycoons, and war veterans. Andrew also undertakes consultancy work for investors in CEE and beyond, and is a regular speaker and moderator at conferences in the region. He has extensive experience covering business and politics in Turkey, the Middle East, and South East Asia. He has lived and worked in CEE since 2006. He was educated at the University of Cambridge and has a postgraduate diploma in newspaper journalism from London’s City University.